Guard this recipe with your life; your family will enjoy it for generations to come! The best part about making these sandwiches is shredding the pork—and little hands can do that just as easily as big ones! Add everything but the meat and buns to the slow cooker and whisk to combine. Add the pork and toss it to coat. Cover and cook the meat on low for 8 hours. 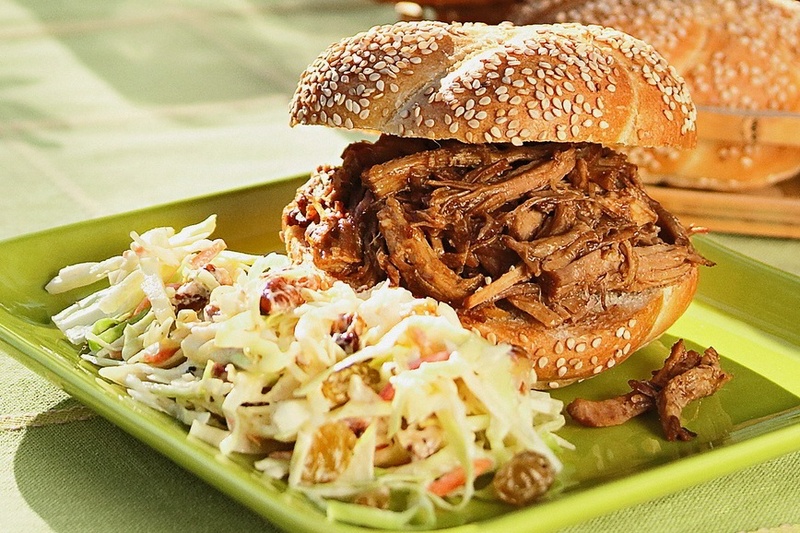 When the pork is done, remove it from the slow cooker with a slotted spoon and place it on a cutting board. Shred the pork by pulling the pieces apart with two forks. Return the meat to the cooker, stir it into the remaining sauce, and then serve it on the buns. If you like, make the dish up to 2 days ahead and store it covered in the refrigerator. Simply skim off any accumulated fat and reheat the meat in a saucepan over low heat before serving.